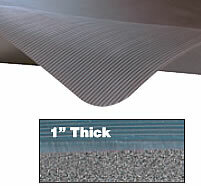 The ERGO MAT GRANDE mat is designed to provide added traction through corrugated top surface patterns and textures. 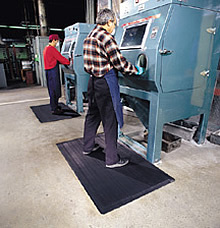 Made of durable rubber compounds, these mats can be used in areas where welding takes place. The one inch thick, strong, heavy mat with a rubber top surface and a dense closed cell foam base enhances ergonomic benefit and worker comfort. The sloped, beveled, and sealed sides minimize tripping hazards and resist moisture. Provides excellent fatigue relief. 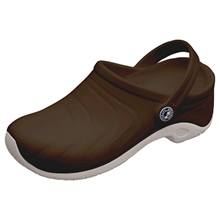 • Three-year warranty against manufacturer’s defects (not warranted for use with spike heels or stools).